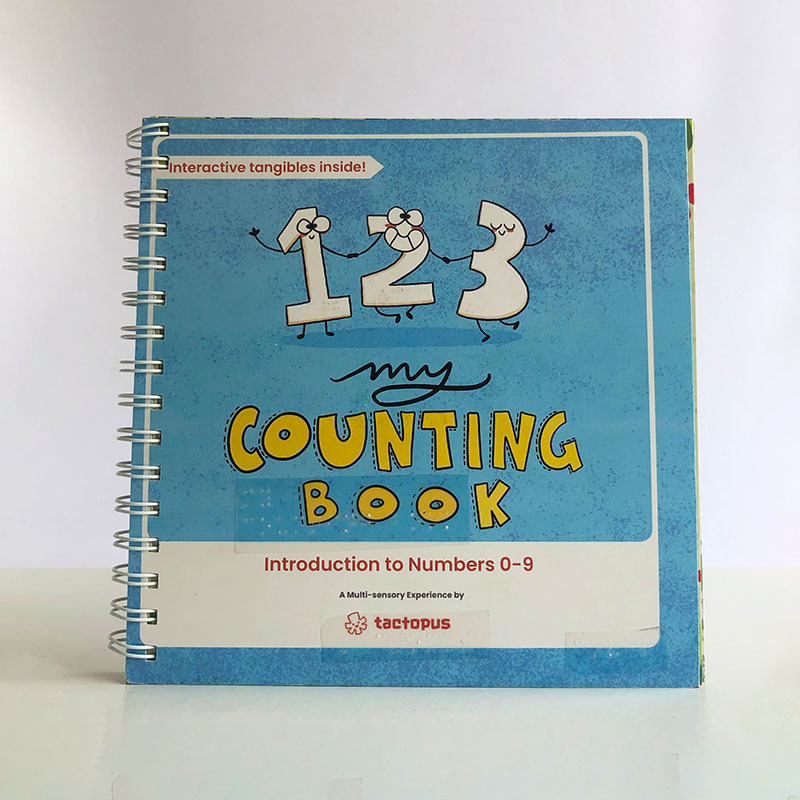 Learn basic numbers (0-9) with this interactive activity book. 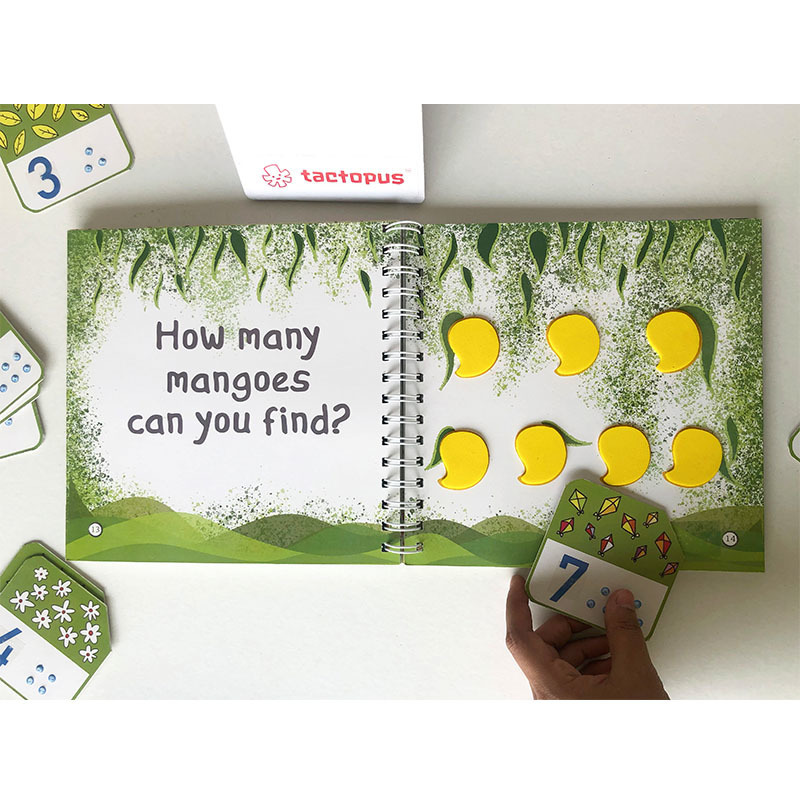 Count new objects and respond to questions asked on every page with our tactile number cards, to get instant feedback! 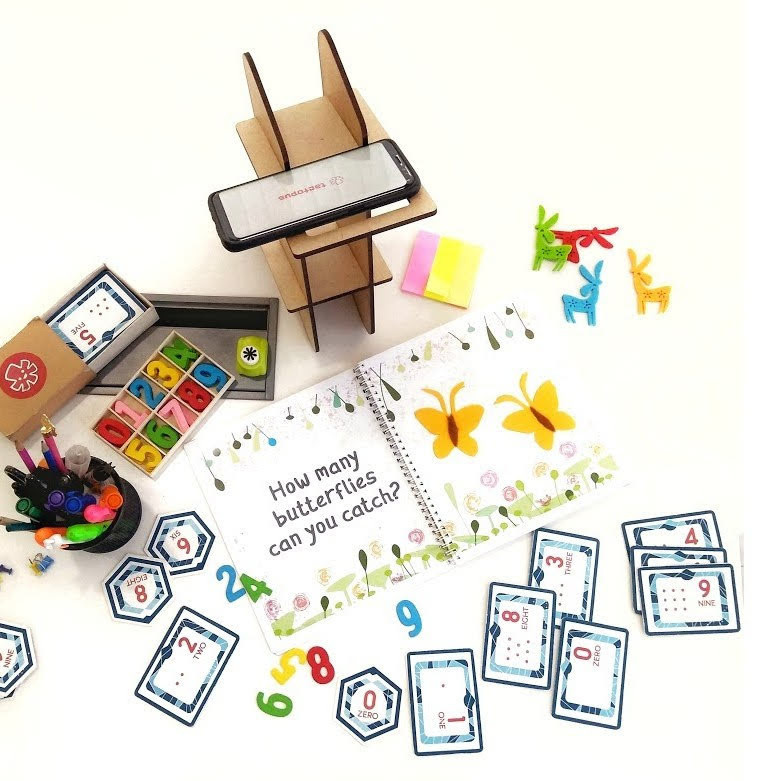 Accessibility features for children with vision impairment - audio feedback, tactile elements and braille numbers.